With the availability of computing services— networking, servers, databases, software, analytics and more—over the Internet – organizations find it less challenging to get their computer services done over the cloud than that of an on-premise alternative. Though cloud computing comes up with a handful of advantages, there are a few challenges to encounter when security comes into concern. Delivering complete cloud protection is a daunting task for the security experts. With a great demand for cloud security – security experts are constantly working on the methods and techniques to deliver the IT admins to instill cloud protection as per the organizations’ demand. Cloud computing Security is taking an exponential rise to deliver utmost protection, featuring state-of-art functionalities more similar to traditional on-premise IT security system. This ensures delivering security to protect confidential business and customer information from data theft and massive online security breaches. 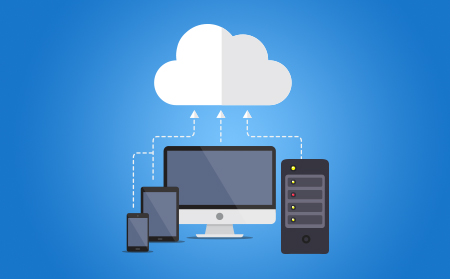 With cloud security, data is stored within data centers as per their requirement from providers with multiple data centers to help organizations achieve this. There are some compliance to be followed while storing a particular set of data for instance if the organizations are inclined to store credit card numbers and another sensitive customer related information. Most of the cloud providers ensure to deliver independent third party audit records as a proof of evidence that there exists a specific process to effectively manage data security while the organization’s sensitive data are stored. Commercial cloud storage system encrypts the data with a particular encoding key. Only with that, they can decode the file to a readable format. The cloud security system provides access to the security keys when the user logs in – to help unlock and gain access to the specific data so that the specific data can be used. Considering the number of benefits on one side, there are also some risk factors associated as the services might have flaws in their methods of security practices that leave users’ data vulnerable to any malware attack. cWATCH Cloud from Comodo delivers a comprehensive cloud security solution to promptly deliver network security and application security. The security system is made available while implementing the same on a range of contexts, be it on-premise, cloud or hybrid. Cwatch Cloud is developed to centrally manage and deliver consistent protection to the confidential data and assets available over the cloud. No matter where the data is, cwatch terminates the requirement of a physical security expert to protect the valuables over the cloud. It integrates dynamic Analysis with Machine Learning techniques to deliver real-time protection from threats, Application Profiling and Traffic Behavior Analysis to identify unusual and abnormal behaviour through robust analysis to detect and mitigate zero-day attacks and emerging threats, Compliance, Real-time correlation and notification to deliver timely notification that is generated due to malicious events, user or network behaviour. Along with this Comodo Security Operations Center (CSOC) provides network intrusion detection along with multiple deployment options. Comodo Security Operations Center and provides network intrusion detection for diverse deployment options to monitor and manage the cloud-based intrusion detection system. Above all, it benefits the organization as it also eliminates the cost of running an IT security centre and maintenance expenses. Comodo's cWATCH Cloud is a managed cloud security service that provides application and network security for different deployment scenarios, on-premises, cloud or hybrid. cWATCH Cloud is a fully managed offering that is designed to protect any cloud based assets and data that you have. It eliminates the necessity of security expertise to protect your valuable assets, wherever your data is. Comodo cWATCH team provides service using in-house built state of the art tools that not only detect threats in real time but also help to prevent from zero day attacks and emerging threats using Dynamic Analysis and Machine Learning Techniques. Comodo's worldwide R&D team continuously develops new content and algorithms an pioneer new techniques to fight against cybercrime. Behavior analysis and anomaly detection is an effective and robust way to detect malicious activity in web, network or client environment. The fast changing threat environment of today makes anomaly detection a requirement rather than an option for cybersecurity. In order to detect anomalies, you have to define what normal is. And the definition of normal changes from environment to environment, from application to application even from configuration to configuration. Top level engineers at Comodo constantly deal with these challenges and produce best of breed solutions for application profiling and traffic behavior analysis to detect and mitigate zero day attacks and emerging threats. Security Intelligence is nowadays is a core item for any proactive security assurance operations. By the help of Comodo Threat Center and Comodo AVLab, Comodo cWATCH team monitors current credible threat information, including known exploits and attack patterns, test (and retest) continuously to assess changing infrastructure against the latest threats and benchmarks security posture, tracks and demonstrates security standing over time. By combining threat intelligence, statistical techniques, machine learning and profiling to assure highest quality of intelligence at our analysts' fingertips. This results in highly efficient security services that strengthens all of our customers' security posture. cWATCH Cloud is a complete security solution for diverse environments that satisfy many compliance mandates such as HIPAA and PCI DSS almost immediately after subscription. cWATCH Cloud ensures a secure IT environment for you and provides extensive set of reports that are required by compliance authorities. Log management, network threat detection and application security management features of cWATCH Cloud, combined with top level security expertise, result in easy compliance to the regulations for IT security published by almost all of the authorities. With automated correlation and alerting, timely alerts are generated for malicious events, user or network behavior. These real time alerts are then analyzed manually by security experts for escalation process and customers are informed due to incident handling and response procedures. There are dedicated experts at Comodo SOC who are committed to creating new static and anomaly based correlation rules and Comodo R&D engineers are continuously researching new ways of automatically detecting threats with advanced computing techniques like machine learning. Our cloud based intrusion detection system is fully monitored and managed by Comodo Security Operations Center and provides network intrusion detection for diverse deployment options. Comodo SOC has dedicated experts that are committed to keeping our intrusion detection system up-to-date for newly emerging threats. We have a comprehensive set of rules with very low false positive rates, analytics engine with threat intelligence that reduces false positives even more, and top level experts that analyze each alert for escalation. No security solution is complete without human interaction. There are many advanced techniques that try to reduce false positives and generate meaningful alerts bu nothing beats an expert human eye when it comes to identification and classification. Comodo cWATCH Web Security brings top level security experts at your service so that you can be sure about the significance of the event when you are contacted. We eliminate all other events and escalate only the required ones with well-defined automated and manual procedures to ensure your valuable time is spent in the right place. An Indicator of Compromise (IoC) is any piece of forensic data,such as found in system log entries or files, that helps identify potentially malicious activity on a system or network. Indicators of Compromise are also used to exchange threat information among the greater security community, leading to strong efforts for their standardization. Security analysts at Comodo Security Operations Center are committed to recognizing and publishing new compromise indicators, and to developing new queries, dashboards, reports, correlation rules and IDS signatures. Malware developers don't stand still, so why should your security solution? By investing time and resources to understand new attack vectors and develop new indicators, Comodo ensures that threat center offers highest level of protection today and will anticipate and prevent threats as they emerge in future. Our security analysts are committed to continuously monitoring Indicators of Compromise including but not limited to the below list. You do not have to employ and maintain expensive, highly skilled security professionals in order to keep your business safe! We offer a more effective way called security as a service that will keep you on top of every cyber threat without the cost of running an IT security center. Let our experts do their best for your cybersecurity while you do your best in business for your customers without distraction. Our cloud based software as a service model is designed to eliminate the hassle of complex configurations, time consuming deployments that disrupts businesses and loads of money to keep everything in shape. Simply subscribe and let us deal with everything else. There is a growing human resources gap in cybersecurity skills that results in expensive staff or low skill set. Our experts at Comodo cWATCH will close this gap and improve your security posture by monitoring your environment, and providing one to one extended help for fast recovery from breaches or compromises.